There are stunning walks in every direction. 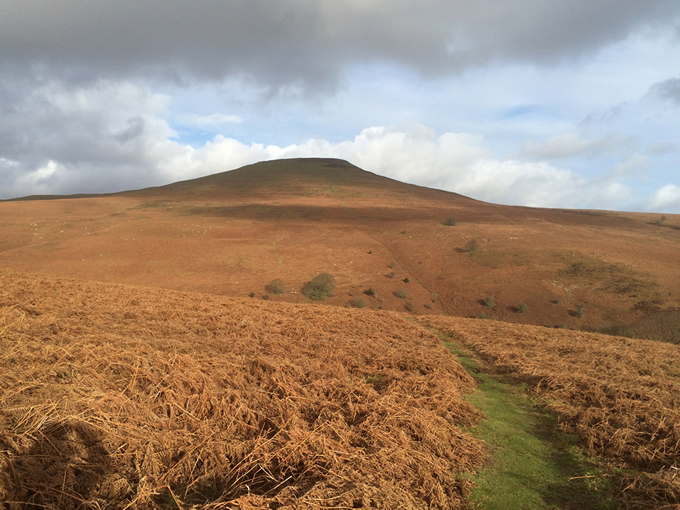 Try the loop over Bryn Awr or continue on to the local pub, and back on the Sugar Loaf Trail (max 1.5 hours each way). From the bottom of our lane you go straight up Sugar Loaf and back. Turn left along the path through the woods to come to the Llanthony Valley, with walks in the valley and along the two ridges to the Llanthony Priory to Hay Bluff and Lord Hereford’s Nob. Opposite the barn is the Gaer, an ancient hillfort. 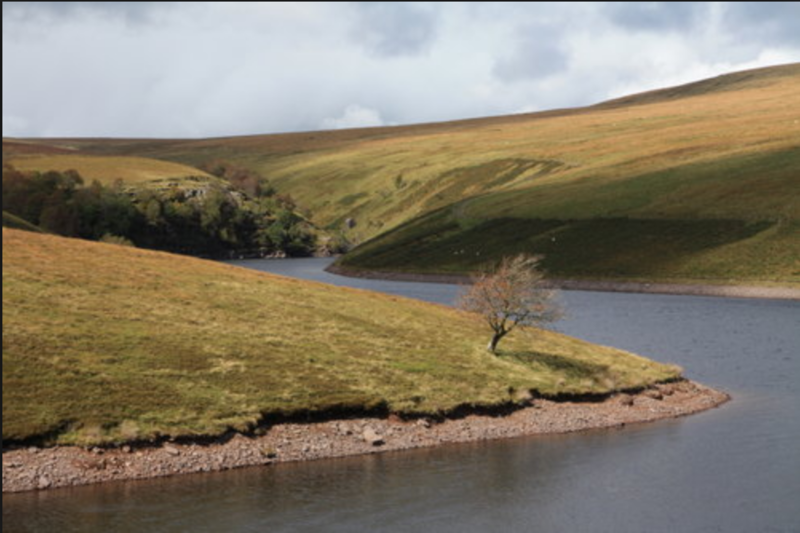 Or drive up, through the forest, to the Brynne Fawr Resevoir [deep in the Black Mountains. There’s a flattish half hour walk each way to the resevoir from the car park, or you can take off into the high ridges from here. There’s a book of walks, with maps you can take with you, at the Barn. 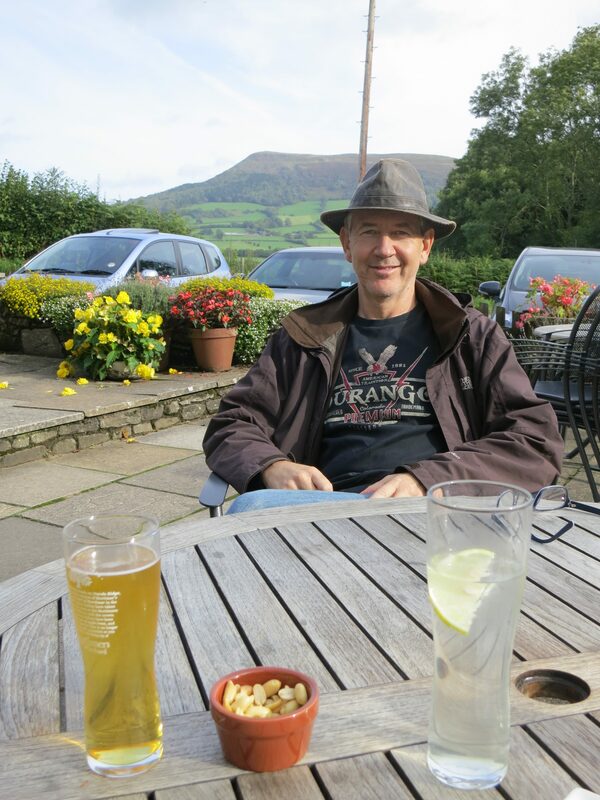 the Crown, is an hour or so away by foot (<10 mins by car) and serves great food, beers and ciders. Closed for food on Mondays. Details can be found in the activities books in the barn. Ian Hislop’s favorite church in Britain. 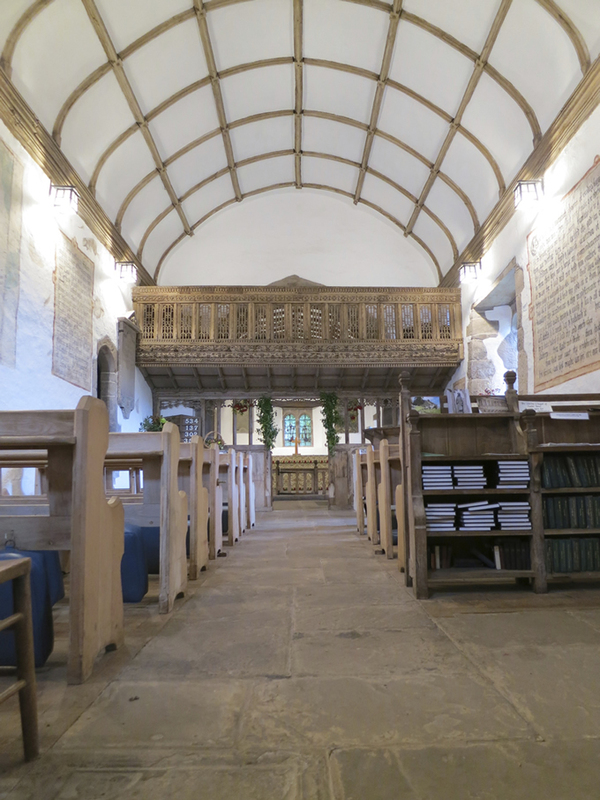 It has an exquisite Rood Screen, carved out of Irish oak. At the rear of the church is an unusual dugout parish chest carved out of a solid tree trunk, with iron bands around it and three locks, once used for the safe keeping of parish valuables. 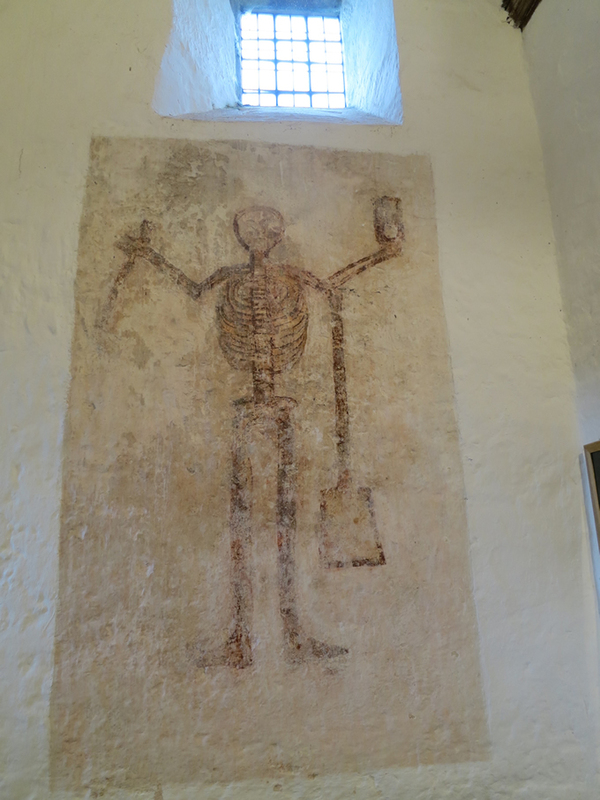 On the wall are some very rare medieval wall paintings – one of which features the figure of Doom, with an hour glass in one hand and a sickle in the other and a spade hanging from his arm. This is our closest local small town with clothes shops, gift and bookshop, cafés and restaurants. 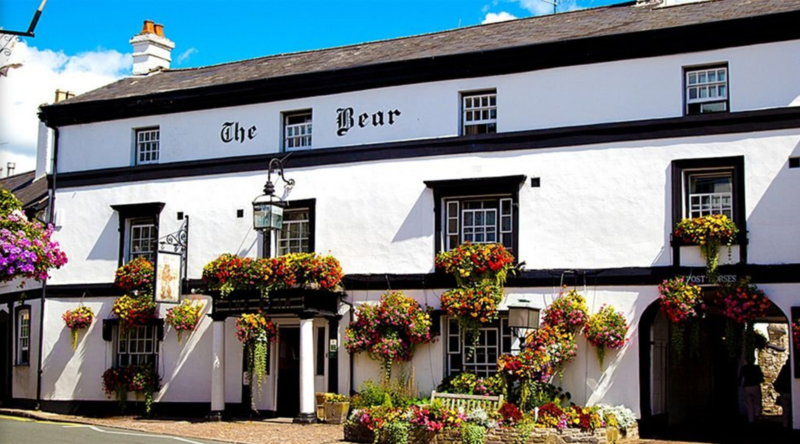 Many people eat in the Bear, the legendary local hotel (open on Mondays). The Dragon Inn is also good. 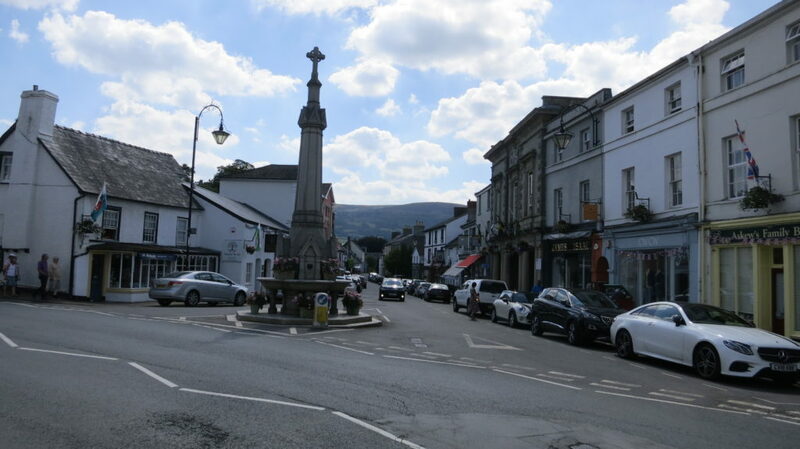 You can get everything you need in Crickhowell, only 10 minutes away. Abergavenny is a much larger town ten minutes in the other direction with some great restaurants (see Food page).